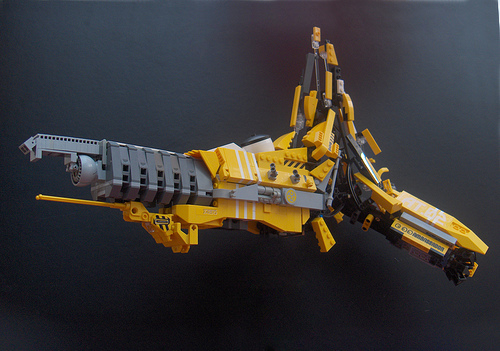 Adrian Florea has built a spectacular utility ship. Not content to just build a great space ship, though, he’s captured it in the midst of an explosion. I love how Adrian has managed to capture the energy and motion of the explosion.